(Reuters) The start-up of the Arab world’s first nuclear reactor – in the United Arab Emirates – has been delayed to begin between the end of 2019 and early 2020 the utility that will run it said 4/26/18. Nawah Energy Company said it “has completed a comprehensive operational readiness review (ORR)” for an updated start-up schedule for the reactor. Previously, the utility had cited the need to complete the ORR and additional safety training for the staff. It is not clear whether issues from the ORR are the cause of the delay. The reactor is slated to provide over 1,400 MW of electricity and will be followed into revenue service by three more just like it. (The National) The UAE’s first nuclear power plant could begin operating by May. The industry’s regulator has approved licenses to transport and store nuclear fuel – a final step in a long, careful process. The Federal Authority for Nuclear Regulation (FANR) said the fuel’s first shipment would be sent from South Korea in coming weeks before being taken to the power plant’s Barakah site in the Western Region next month. The authority’s approval is considered to be the last step before the first nuclear reactor becomes operational in May, pending regulatory approval. Christer Viktorsson, FANR’s director general, said it was a “major milestone for us because we’ve worked diligently during months to make us convinced that everything is ready to transport and store fuel”. The first shipment will be sent by sea and inspected on arrival in a couple of weeks, before it is moved to the reactor’s storage. “They are packing the fuel now in Korea and we had inspectors there a few weeks ago,” said Ian Grant, the authority’s deputy director general for operations. The Emirates Nuclear Energy Corporation already has power in the plant and is running systems at the plant to check its equipment. Once the plant has authorization to load the fuel, there would be a period of about another six or seven months of testing and gradually increasing power. Unit 1 of the plant will initially operate on low power as part the trial, going through phases of shutting down and increasing its power gradually until it reaches full power, also known as commercial operation, which will then feed power to the grid. Hamad Alkaabi, UAE ambassador to the IAEA, agreed that receiving fuel was a significant milestone. “The UAE has worked closely with the IAEA safeguards teams to ensure all surveillance and control measures are in place and in line with IAEA requirements at the Barakah nuclear plant,” Mr Alkaabi said. More than 200 experts work in FANR in nuclear safety, security, radiation protection, safeguards and related areas such as emergency preparedness and waste management. (Gulf News) Nuclear fuel to be shipped from South Korea to the UAE before being transported to the Barakah Nuclear Power Plant. The UAE’s path towards nuclear energy took another step forward after the Federal Authority for Nuclear Regulation (FANR) announced that it approved the licensing for transporting and storing nuclear fuel at the Barakah Nuclear Power Plant. 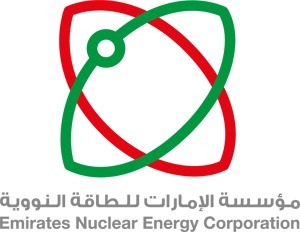 The two licenses have been granted to the Emirates Nuclear Energy Corporation (ENEC) and Nawah Energy Company respectively, with the former getting the license to transport the nuclear fuel, and the latter getting the license to store the nuclear fuel at the Barakah site. What is implicit in the name Barakah for the UAE Nuclear site? 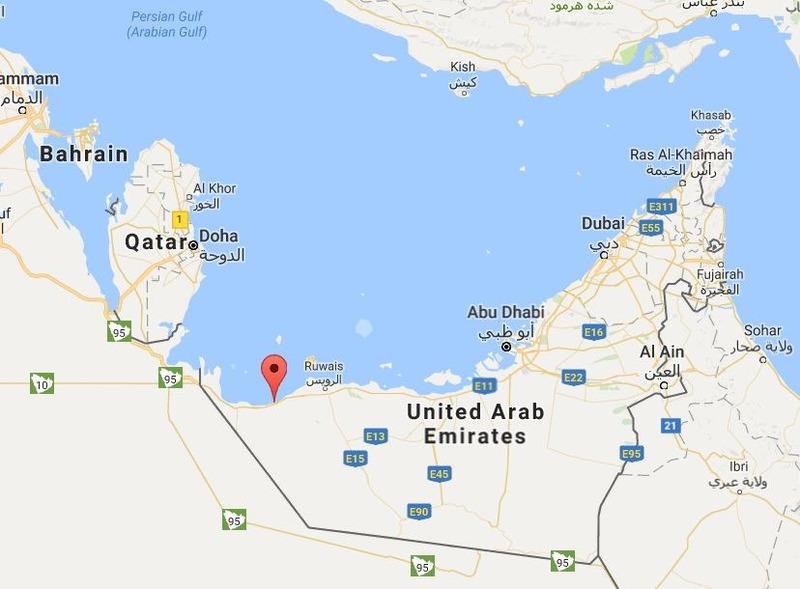 The Barakah nuclear site is located on the western shores of the Persian Gulf (map). The Barakah nuclear power plant is United Arab Emirates’s first nuclear power station. It is still under construction, and four APR-1400 nuclear reactors are planned to start operation successively between 2017 and 2020. From this site it will provide electricity for industrial and residential power and for desalinization plants located near the major cities of Abu Dhai and Dubai. Barakah as a concept, and metaphor, is a kind of continuity of spiritual presence and revelation that begins with God and flows through and can be found within physical objects, places, and people. Baraka (alternative spelling) symbolizes this connection between the divine and the worldly through God’s direct and intentional blessings. Baraka is not a state, it is a flow of blessings and grace. It can also mean, via poetic metaphor, a spice or essence that flows the earth in the few days of the lunar cycle just before a new moon. This period is called in the West “the dark of the moon” and is also called a “balsam moon” after a spice of the same name. Balsamic is not just a salad dressing. It comes from the word balsam, a word that means something soothing or restorative. Perhaps this juxtaposition of darkness and light is what inspired George Lucas when he defined the concept of the “force” in the Star Wars movies. The concept from the Star Wars movies series of “may the force be with you” includes a Hollywood derived version of the concept of Barakah. (WNN) Horizon Nuclear Power – the UK subsidiary of Japan’s Hitachi – and NuGeneration – the UK joint venture between Japan’s Toshiba and France’s Engie – have joined government officials, trade associations, and wider stakeholders during a trade mission to Tokyo. Horizon said that supply chain companies had met during the UK-Japan Nuclear Industry Forum to discuss how they can work in partnership to deliver the Wylfa Newydd nuclear new build project. At the two-day event, held at the British Embassy in the Japanese capital, participants heard about progress made on this “transformative project” and discussed ways to build on the long history of civil nuclear cooperation between the countries. Horizon plans to deploy the UK ABWR (Advanced Boiling Water Reactor) at two sites – Wylfa Newydd, which is on the Isle of Anglesey, and Oldbury-on-Severn, in South Gloucestershire. NuGen plans to build three Westinghouse AP1000 reactors at Moorside, which is set to become the engine of the ‘Northern Powerhouse’ – providing 3.8 GWe of electricity from a sustainable source, NuGen said, referring to government plans to boost economic growth in the North of England. The company noted that West Cumbria already has strong links with the Japanese nuclear industry in the research and decommissioning sector. With more 70 years of experience of the industry and more than one-third of the UK’s civil nuclear sector based in the region close to Moorside, the region is rightly known as the UK’s Centre of Nuclear Excellence, NuGen added. The NIA said on 16 January that 100 companies were “joining forces in a UK-Japan industry partnership” at the event this week, to build ties between organizations with expertise in the nuclear industry. The forum builds on the Memorandum of Cooperation between the two countries signed in December by UK Energy Secretary Greg Clark and Japan’s Minister of Economy, Trade and Industry, Hiroshige Seko. (China Daily) The National Development and Reform Commission and the National Energy Administration have officially issued the 13th Five-Year Plan for energy development, China Securities Journal reported last week. Throughout the next five years, over 30 million kilowatts of nuclear energy facilities will be under construction in China. By 2020, China will have 58 million kW of installed nuclear power, up 16.5 percent year on year. The country will develop some major nuclear technology projects, start the construction of CAP1400 demonstration project and create a high temperature gas-cooled reactor demonstration project. Both units will be at the Shidaowan site in Shandong province. The region is slated to become one of China’s largest centers of nuclear power generation. The country will also launch some independent innovation projects, including smart small-and-medium sized reactors, commercial fast reactors and 600 MW high temperature gas-cooled reactors. According to the plan, the share of non-fossil fuels will rise to more than 15 percent and the share of natural gas should reach 10 percent by 2020. (WNN) Carbon emissions from California’s electricity generation are two-and-a-half times higher today than they would have been if the state had kept open nuclear power plants forced to close prematurely and not abandoned plans for new units, according to a new analysis by the Environmental Progress (EP) research and policy organization. Based on data from the California Air Resources Board and the California Energy Commission, and assuming natural gas as a replacement for nuclear, EP calculates that the state’s 2014 emissions were 30.5 million tonnes higher than they would have been had the Rancho Seco and San Onofre plants remained open and had five further units been built as planned. “Had those plants been constructed and stayed open, 73% of power produced in California would be from clean (very low-carbon) energy sources as opposed to just 34%. Of that clean power, 48% would have been from nuclear rather than 9%,” the organization said. The early closure of San Onofre contributed to a 35% increase in greenhouse gas emissions from power plants in California in 2012, the California Air Resources Board reported in 2013. Pacific Gas & Electric (PG&E) last year outlined plans to close California’s only currently operating nuclear power plant, the two-unit Diablo Canyon, at the end of its current operating licenses – in 2024 for unit 1 and 2025 for unit 2. The units would then have been in operation for 40 years. Unlike New York and Illinois, which have adopted state-level clean energy legislation recognizing nuclear for its role in helping to cut carbon emissions, California’s Renewable Portfolio Standard excludes nuclear. (WNN) Stakeholder support and involvement are “essential to achieving accepted and sustainable decisions for nearly all aspects of nuclear energy”, an OECD Nuclear Energy Agency (NEA) workshop has concluded. More than 130 experts from 26 countries came together to discuss international best practices at the workshop on ‘stakeholder involvement in nuclear decision making’, held at the NEA’s headquarters in Paris this week. US NRC Chairman Stephen Burns made a keynote speech about the work of his agency to improve public engagement. The NEA said participants in the workshop compared their “vast array of experiences and to identify approaches that help contribute, or not, to stakeholder confidence”; discussed the laws, policies and programs underway in different countries; and sought to develop a “collective wisdom from which all may learn and benefit”. During his opening remarks, Gurría noted that the quality of public involvement in the decision-making process may be as important as the quality of the scientific analysis or the engineering work needed to implement the decision, according to the NEA statement. Before taking his post at NEA Magwood held positions at the U.S Department of Energy and served as a Commissioner at the Nuclear Regulatory Commission.